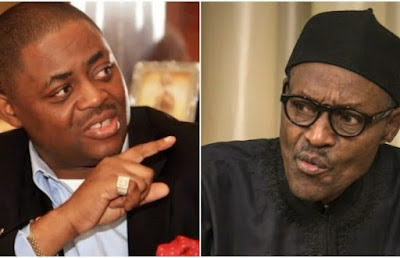 A total of $30billion has allegedly gone missing under President Muhammadu Buhari, according to former Minister of Aviation, Femi Fani-Kayode. Fani-Kayode in a series of tweets on Sunday, gave a breakdown of the figures from the year 1977. He wrote: “Never in our history has ANY govt official siphoned 26 BILLION USD through bogus oil contracts in less than one year. Buhari and Baru STINK! “In 1977 $2.8 billion went missing under Buhari. In 1997 $500 million went missing under him. Today $26 billion has gone missing under him. “So over the last 60 years $30 BILLION USD has gone missing under Buhari’s watch. He hits it every 20 years and that year always ends with 7."